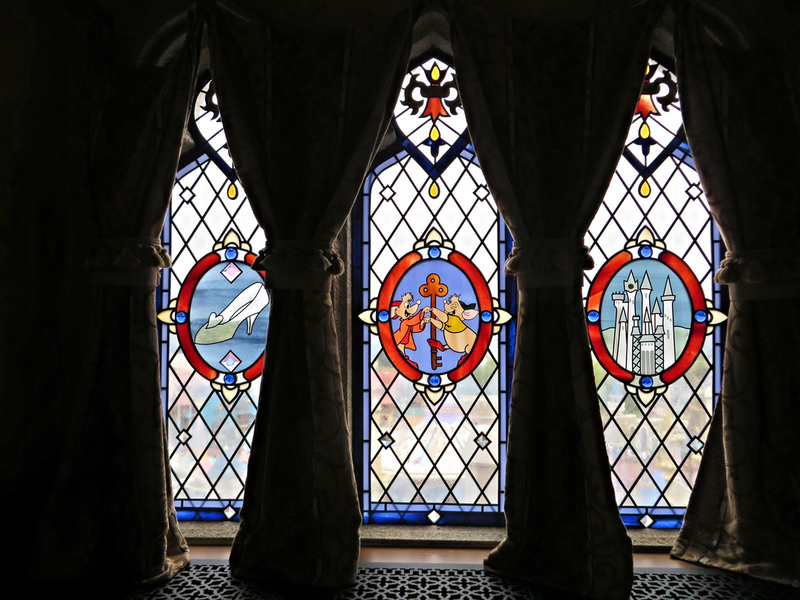 As the construction of the Magic Kingdom began way back in the late 60s, an in-park space was planned inside Cinderella Castle for the Disney family to stay, much like what Walt had done with the firehouse on Main Street at Disneyland. 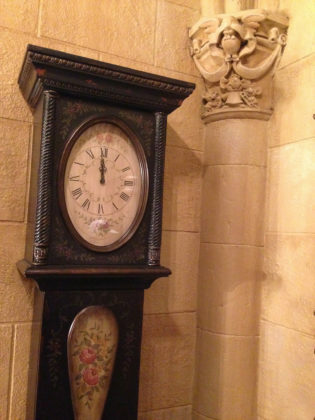 Sadly, between deadlines for park opening and Roy O. Disney passing just a month after the park opening, the apartment was never completed. 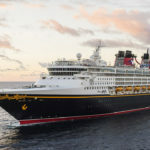 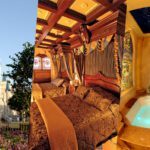 But, as part of the Year of a Million Dreams promotion in 2007, the space was transformed into the Cinderella Castle Suite and awarded each day to one lucky family. 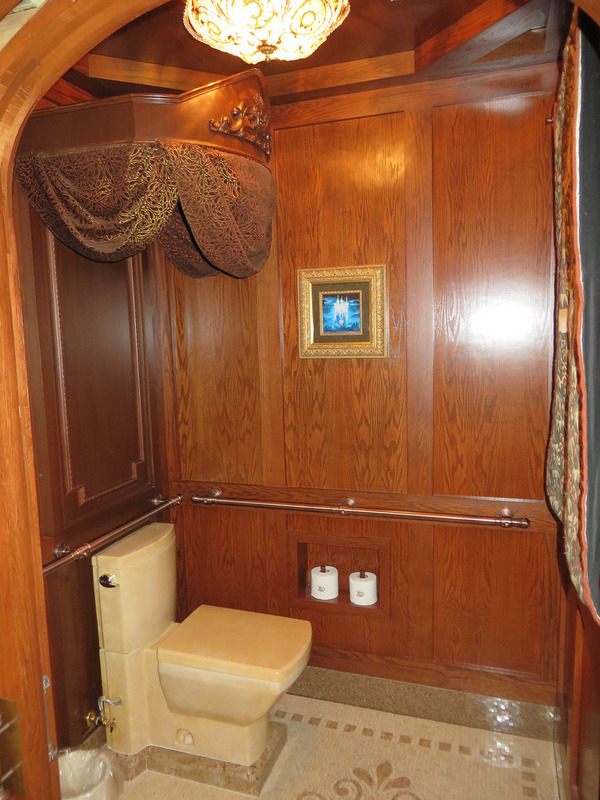 The Year of a Million Dreams (that ran for two years) ended in 2008 with the Cinderella Castle Suite sitting empty, aside from being used for VIP guests and Make A Wish. 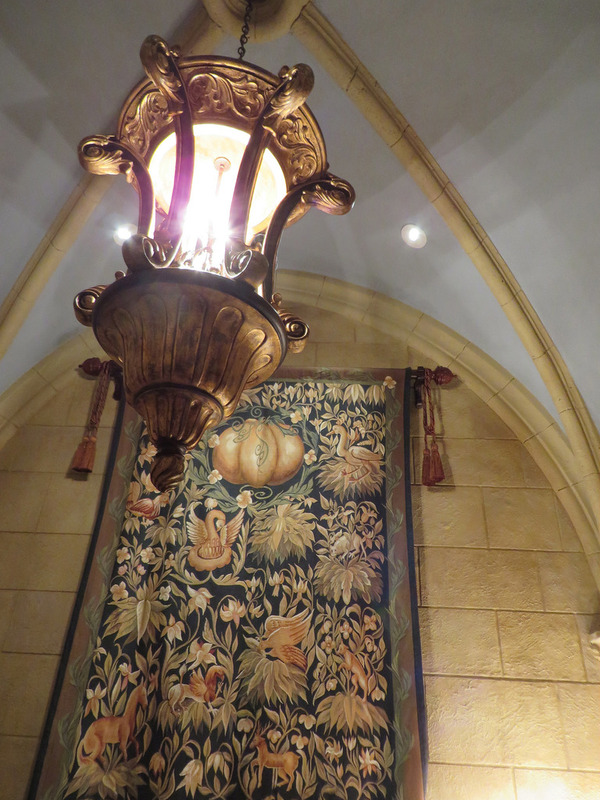 In 2013, during the Limited Time Magic promotion, I was lucky enough to get a chance to visit this beautiful room. 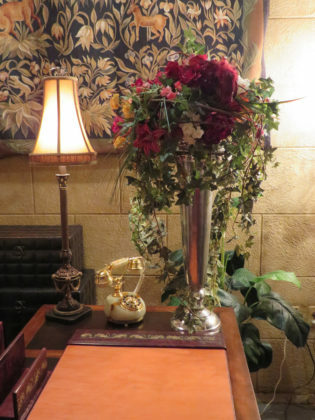 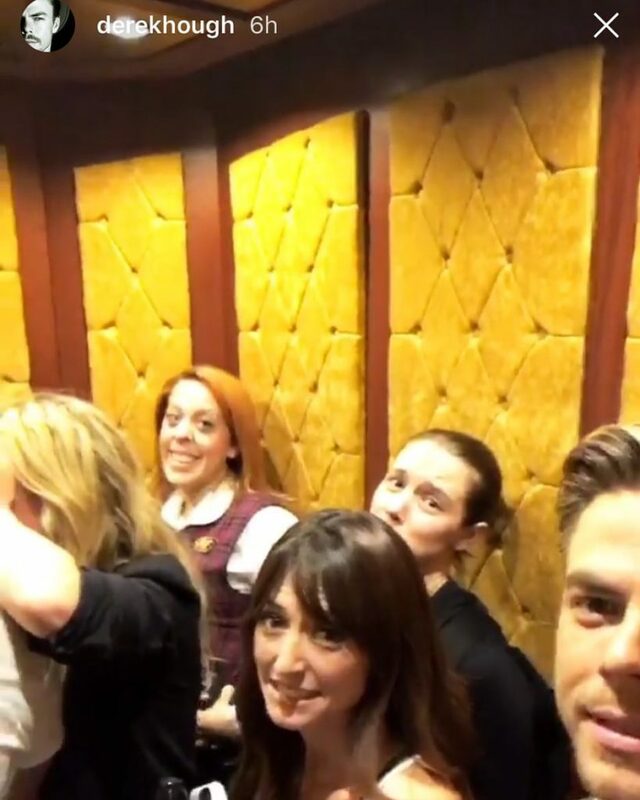 Starting at a nondescript door in the walkway through the Castle, we entered the lower lobby where a Cast Member checks in the guests of the suite. 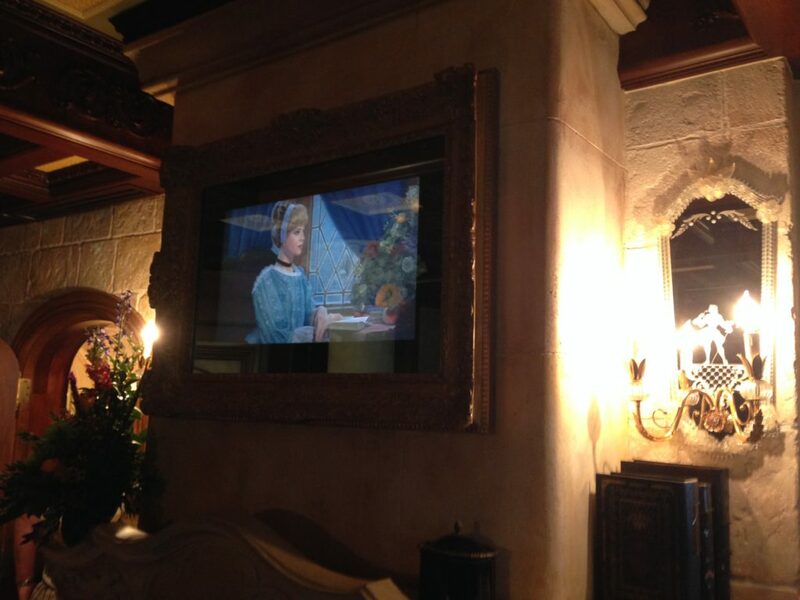 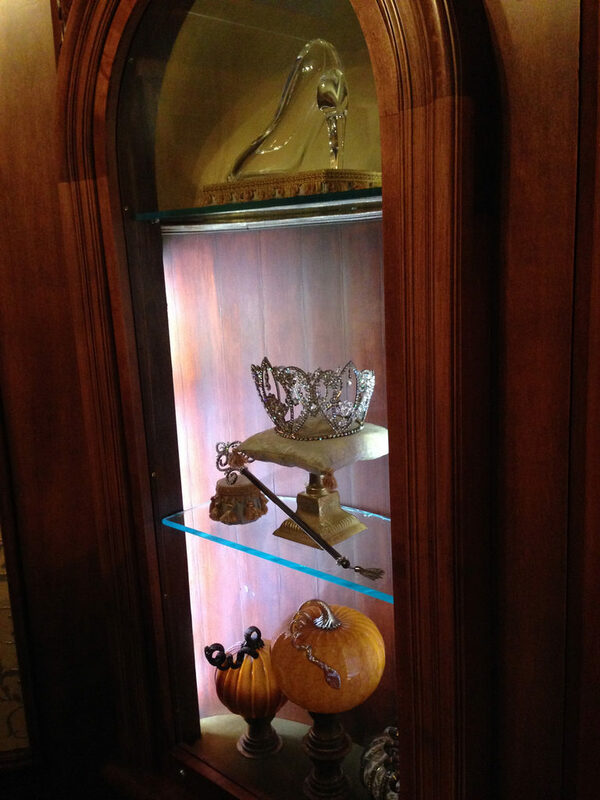 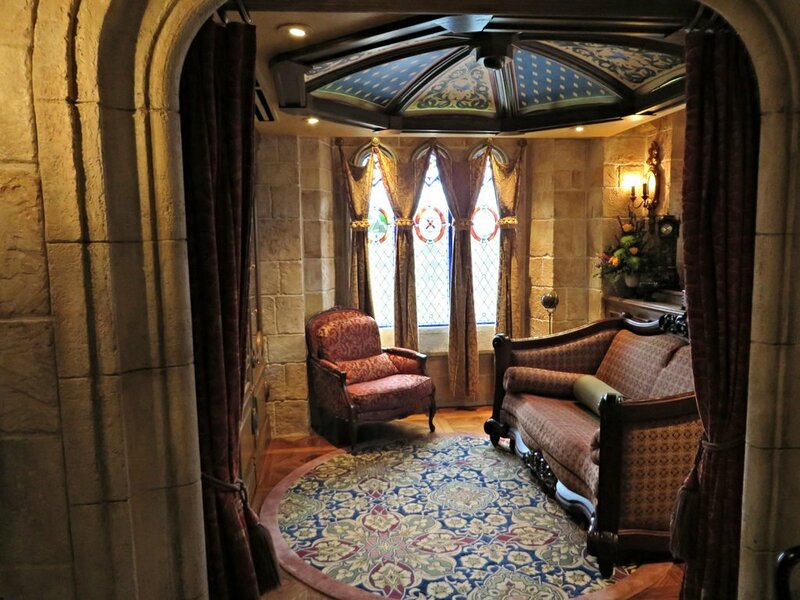 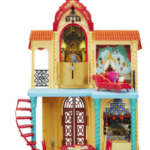 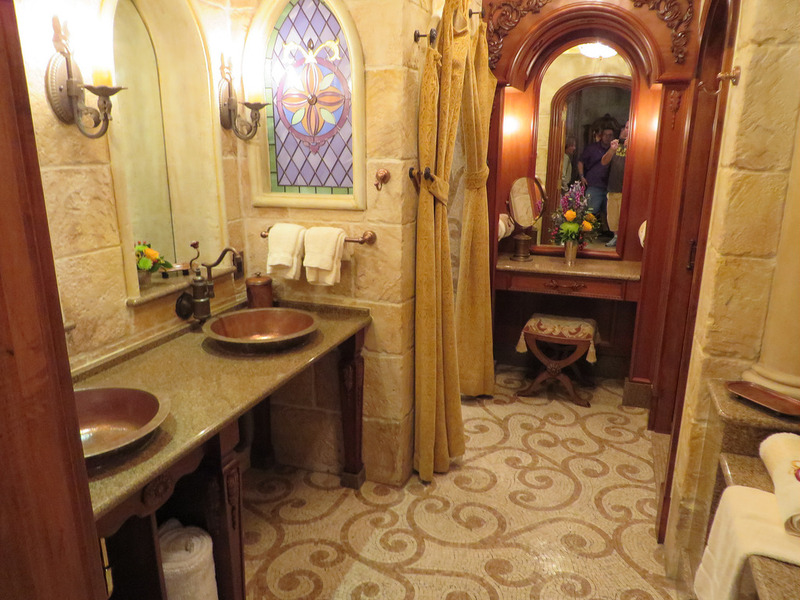 The elevator takes you up to the suite level, located above Cinderella Royal Table, and you step out into the foyer. 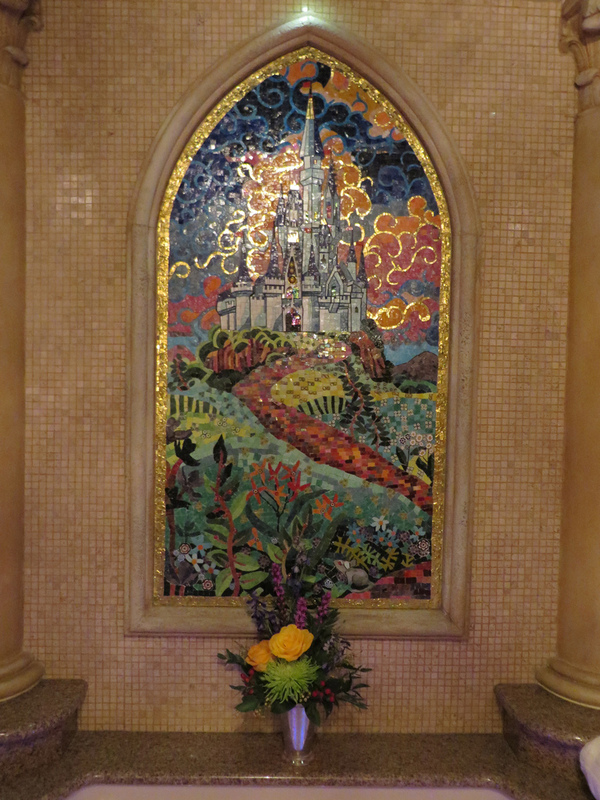 With beautiful art, one-of-a-kind pieces, and a Cinderella Coach mosaic made up of 30,000 tiles, this area alone left me speechless. 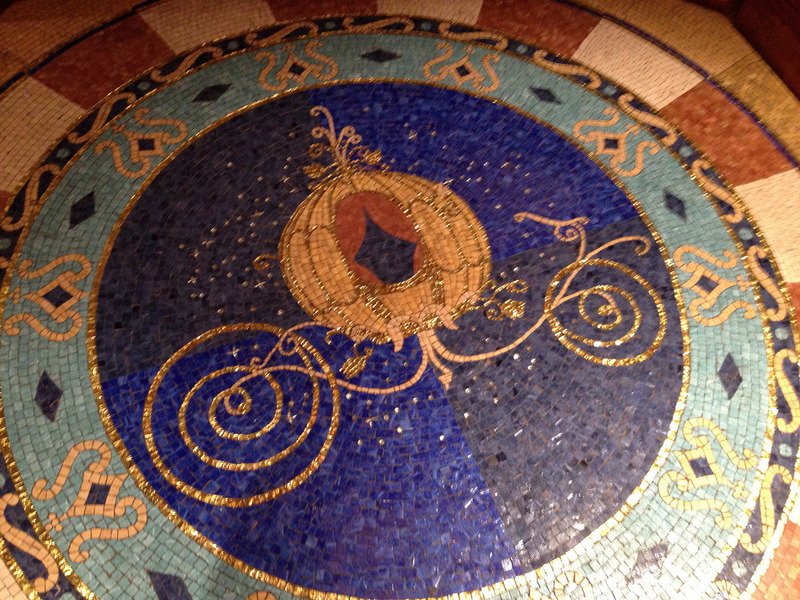 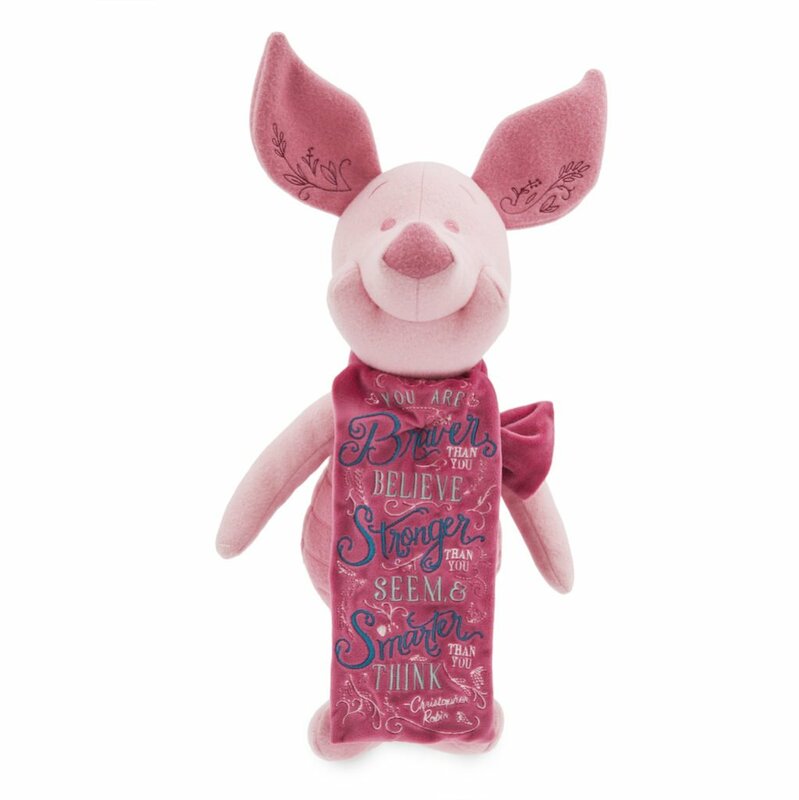 One of a kind Cinderella tributes. 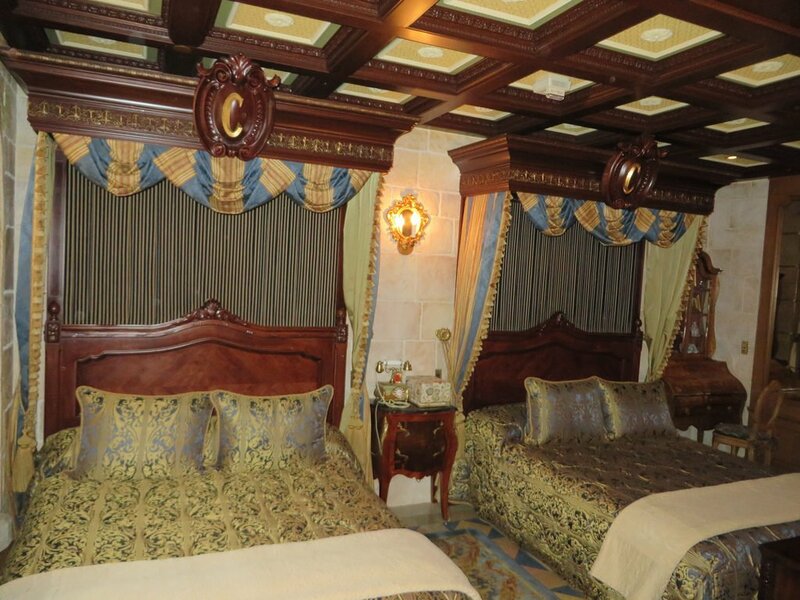 Once inside the actual suite, you are welcomed into the Royal Bedchambers with beds adorned with two custom designed headboards stand 8 feet, 2 inches with “C” (for Cinderella) crest this is the room of every princesses dream. 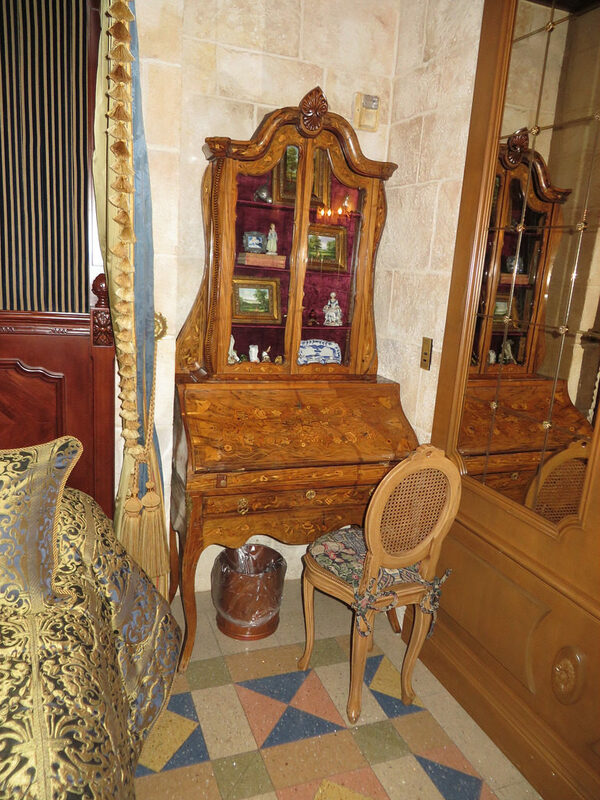 One of the most prized pieces in the room is a 17th Century Dutch secretary desk with inlaid wood and velvet-lined shelves from the Netherlands. 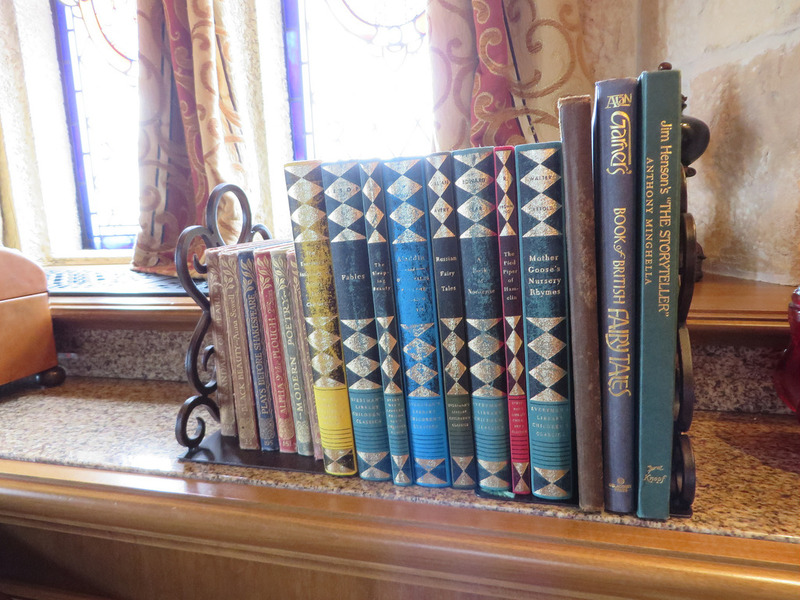 Cinderella Castle Suite a Dutch secretary desk. 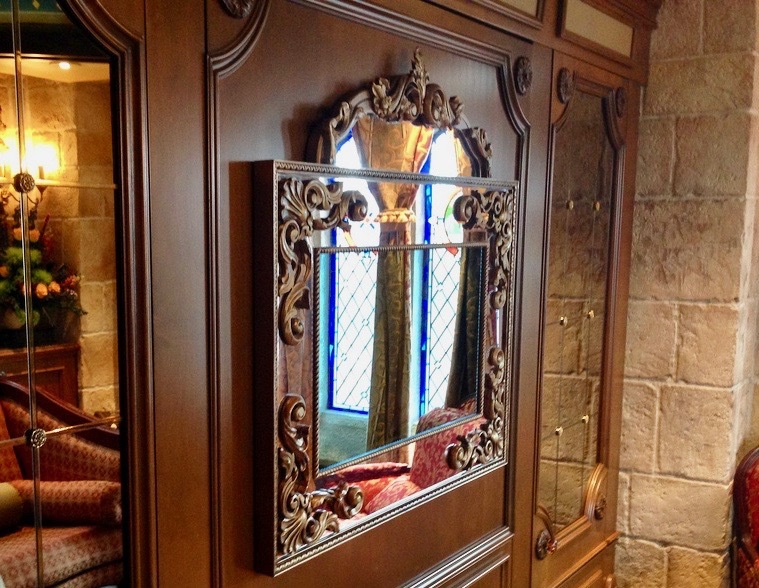 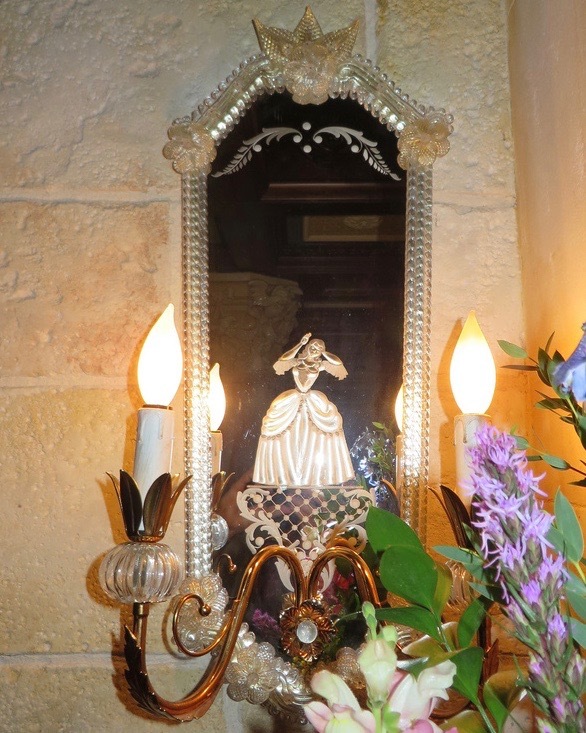 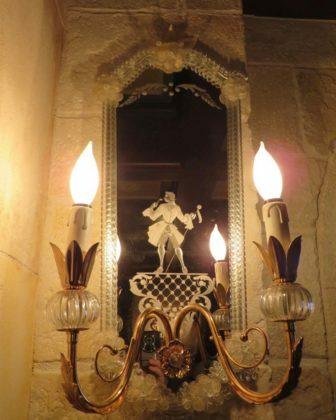 The Royal Bedchamber includes a portrait of Cinderella that magically transforms into a flat screen television along with Venetian glass sconces adorn either side of the fireplace and contain a Cinderella and prince likeness etched on each. 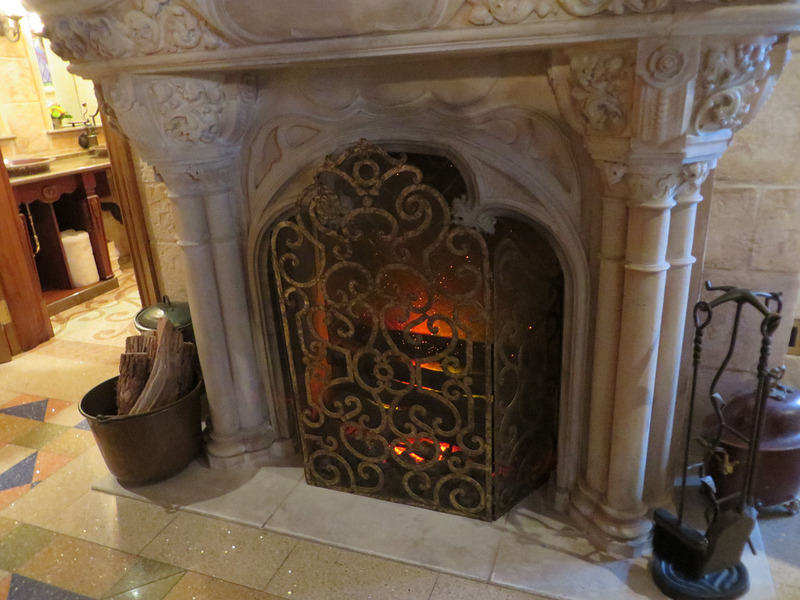 For those cold Florida nights, there is a 600-pound antique limestone fireplace — 17th century Gothic molded from an original wood fireplace from France with magical embers. 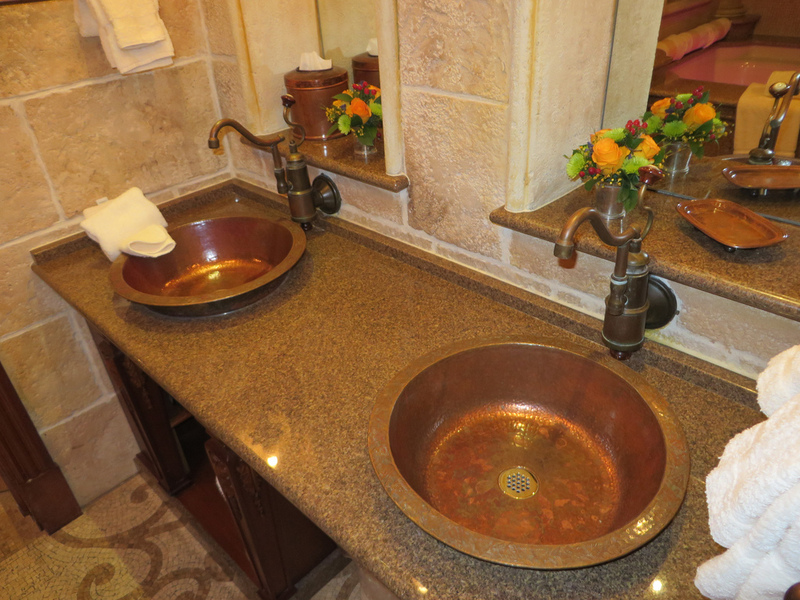 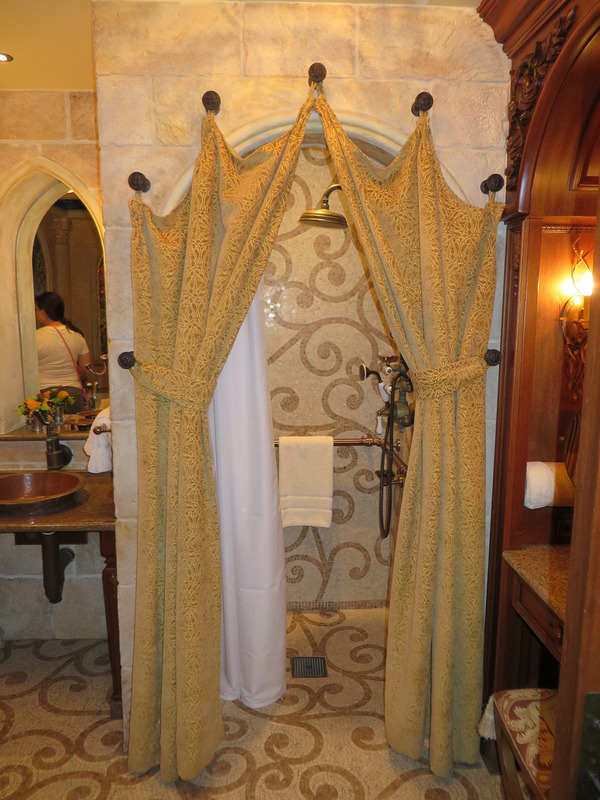 The Royal Bath, just like the rest of the suite, is custom-made. 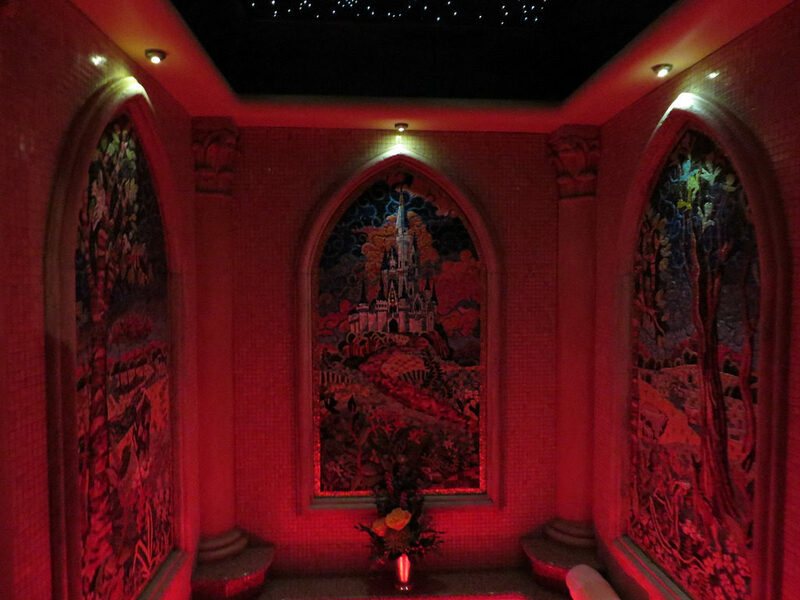 The stunning Jacuzzi tub is decorated with three mosaics containing a total of 30,000 tiles and a twinkling star ceiling. 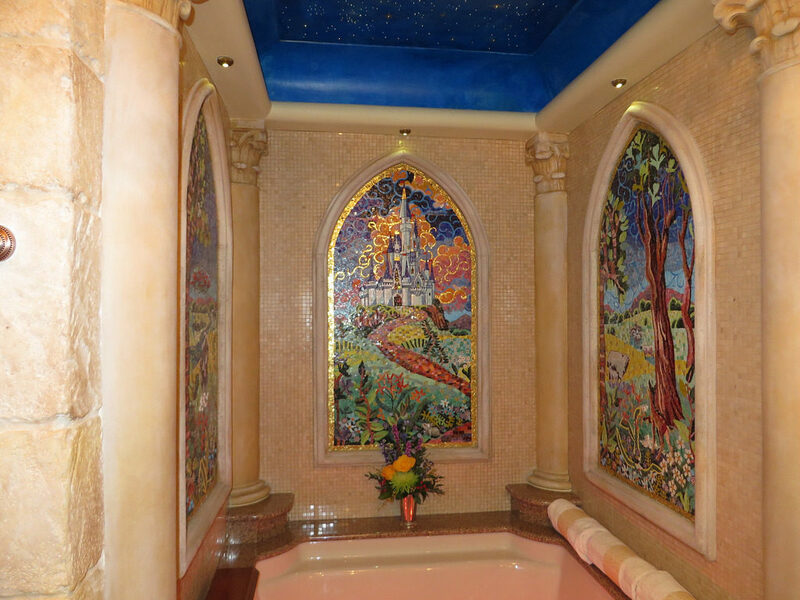 The rest of the Royal Bath fits perfectly with the suite and easy to get lost in its beauty. 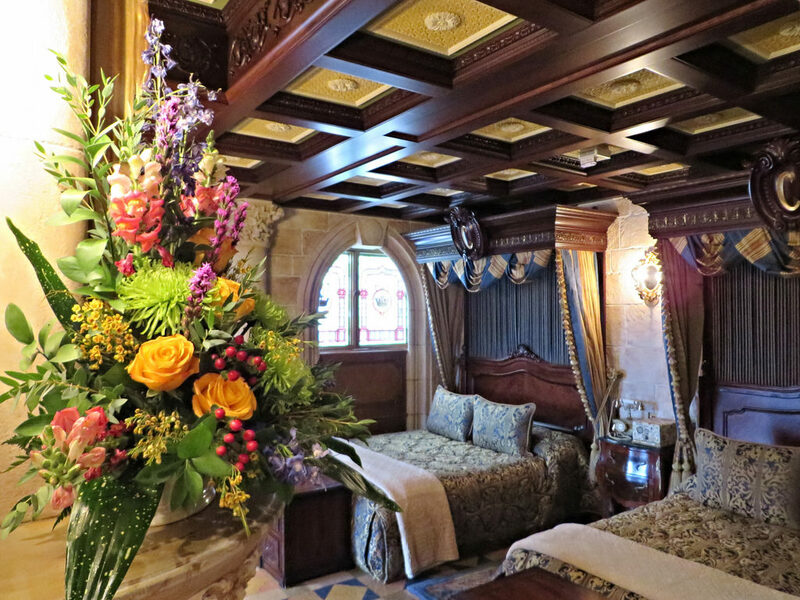 The final area of the suite is the Royal Sitting Room, with custom designed sofa bed — one-of-a-kind with French-carved details and special glass Magic mirror that transforms into a TV as part of the entertainment center was by far my favorite. 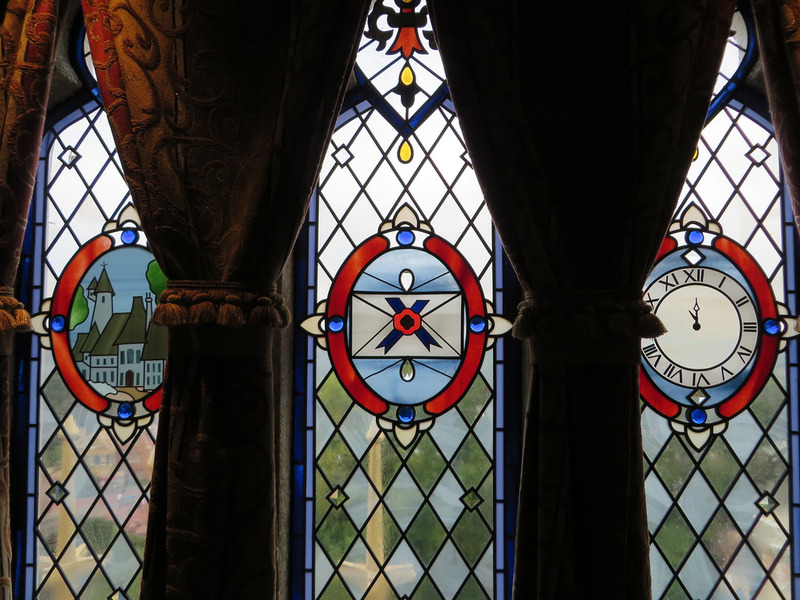 The sitting room has beautiful stained glass windows looking out into the park and also had my favorite hidden gem in the books located behind the sofa. 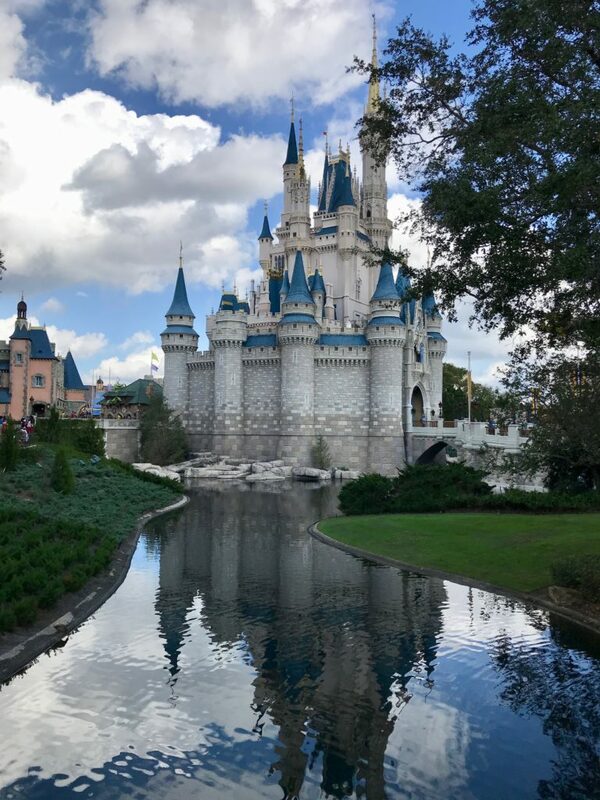 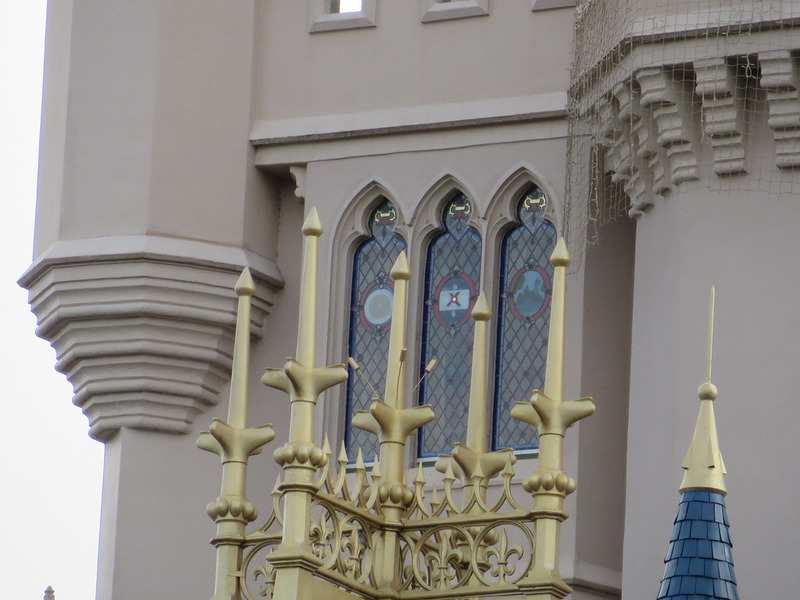 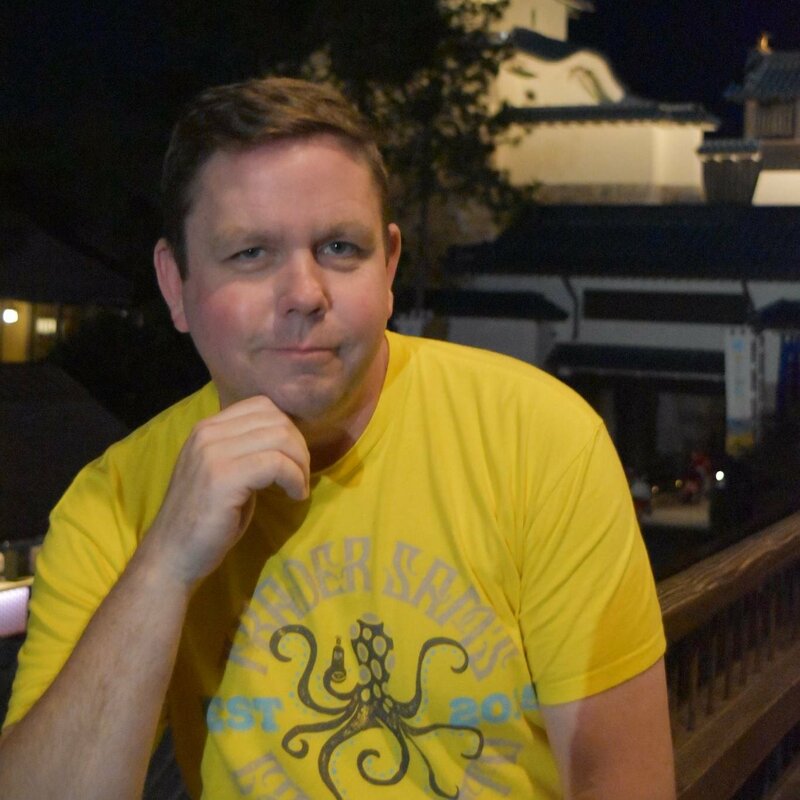 So next time you are in the Magic Kingdom and near Fantasyland side of the Cinderella Castle, look up and you will see the outside of the suite and now know what it looks like on the inside.